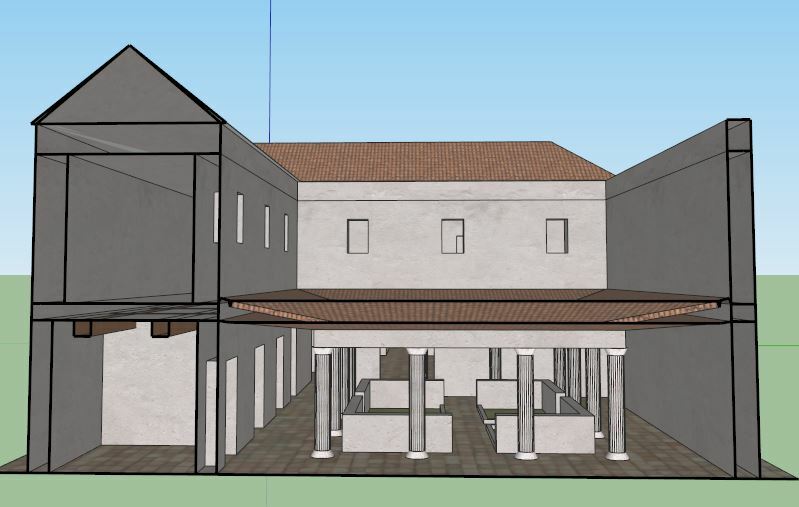 I have talked endlessly before on this blog about the use of Google Sketchup in the archaeological world, so pardon yet another example on the topic. 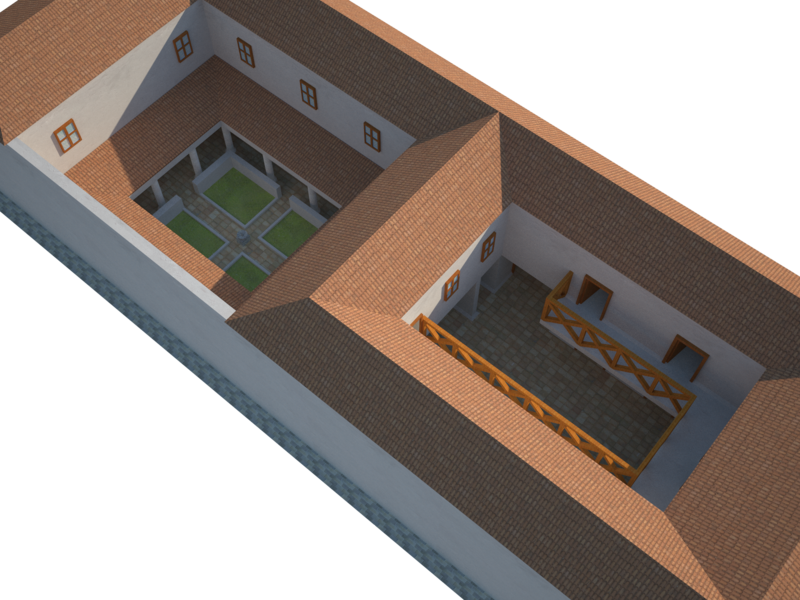 I recently started recreating a typical Roman Villa using plans from a number of sites and any source of information I could find. The final plan is to not only create the structure itself, but also include many more details, such as furniture, statues, etc. Having completed the main structure I thought I would share the results as they stand, as a sort of preview to the completed work, and explain some of the aspects of making the model. In the next couple of days I’ll also post a fly-through video which is currently rendering, to give an even better impression. 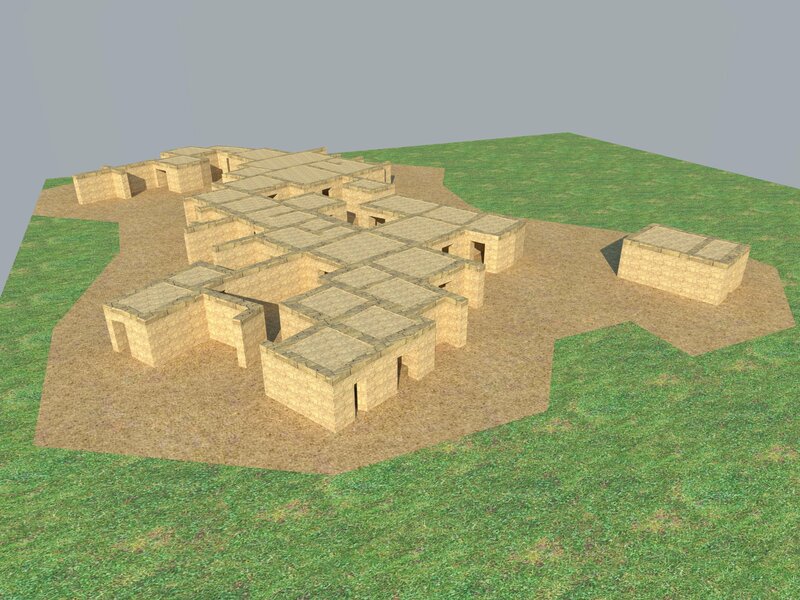 This model was an interesting one to make, as it was more complex in some aspects than the ones I did before, and it combined opened and closed spaces, with equal importance given to both. 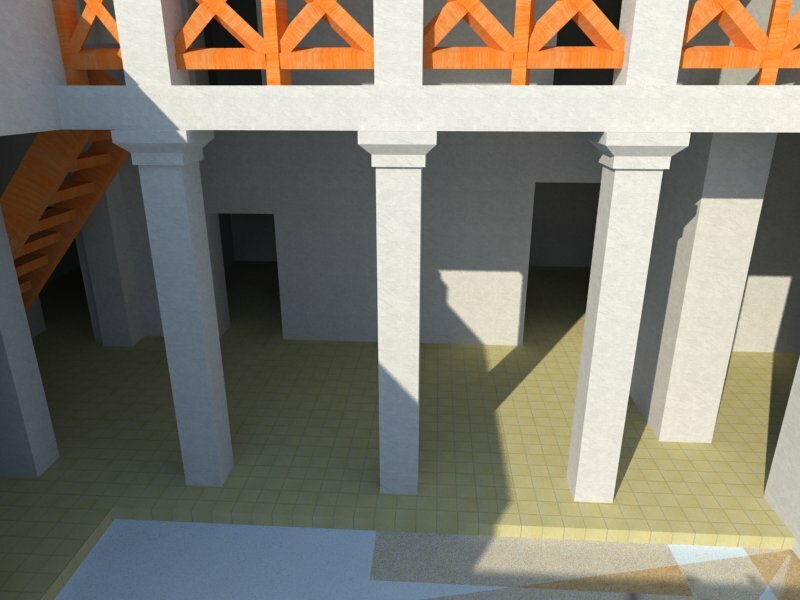 The plans I found were very good for the ground floor, which is pretty accurate, but for the top floor there is a definite lack of information, mainly due to the lack of archaeological evidence. Therefore I had to resort to sketch reconstructions which are based on personal interpretation, which I am not usually fond of. Similarly the roof and the inside of the rooms is mostly conjecture on my part, based however on ideas found in texts. 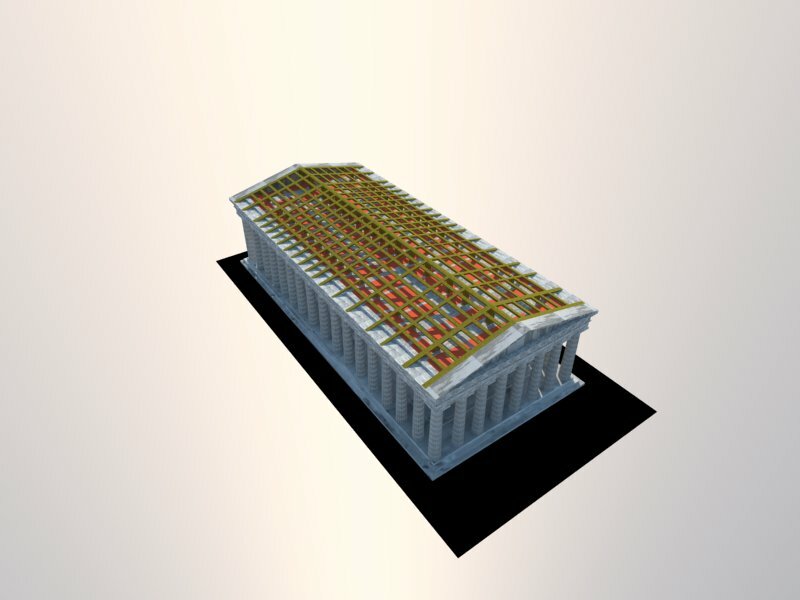 Overall then the model is much more interpretive than for example the Parthenon model I made, but at the same time it is more useful as the Parthenon is actually standing, while the villa is not. 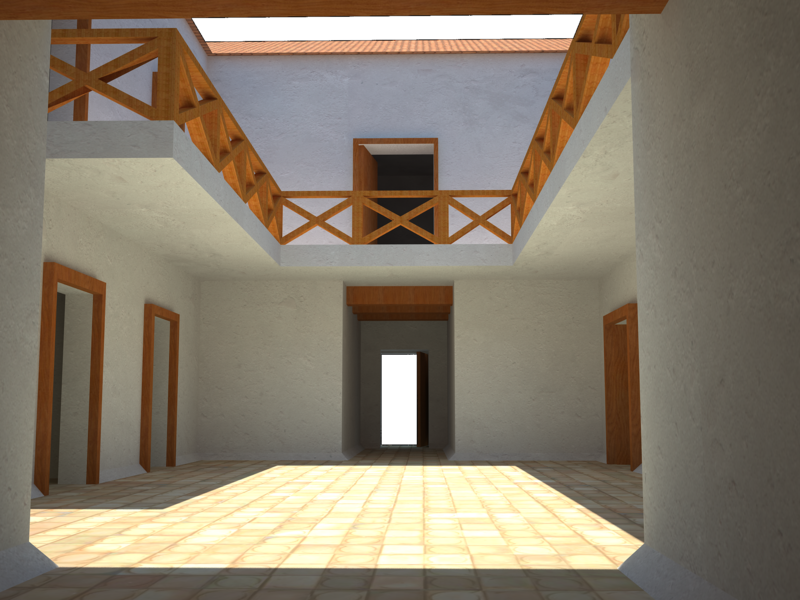 Something I noticed from making this model is the efficiency with which Sketchup deals with lighting. In the past I wasn’t a big fan of the lighting conditions as I found that inside spaces were too dark, and outside spaces were too bright, however in this case I find that this is in no way an issue, possibly because we have both inside and outside. 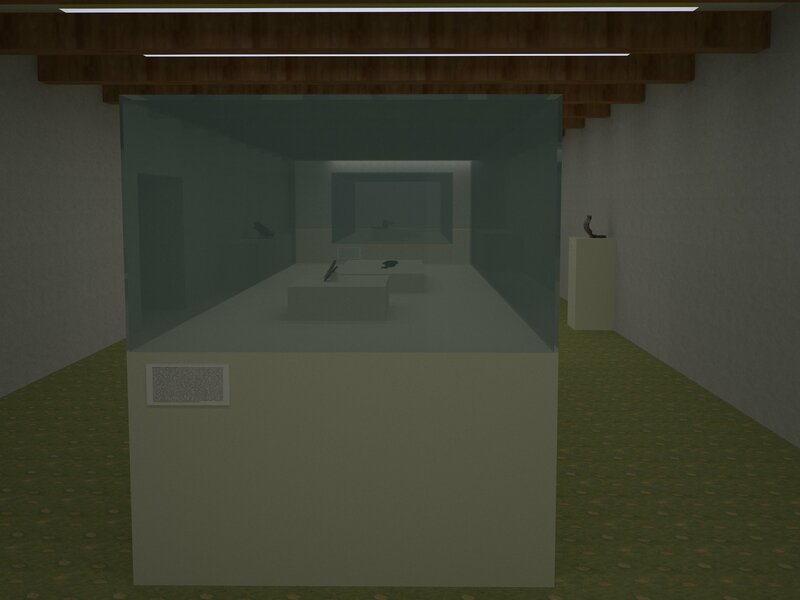 The rooms are still a bit dark, but with the addition of external windows that I’m adding in the next phase, they should be quite faithful to reality, while the internal courtyards are bright, but not unnaturally so. As a whole the results are quite satisfying, and when objects are placed within the model they will also look realistic due to this. Also , rounded edges tool is still a favourite of mine, but I now use it less frequently. 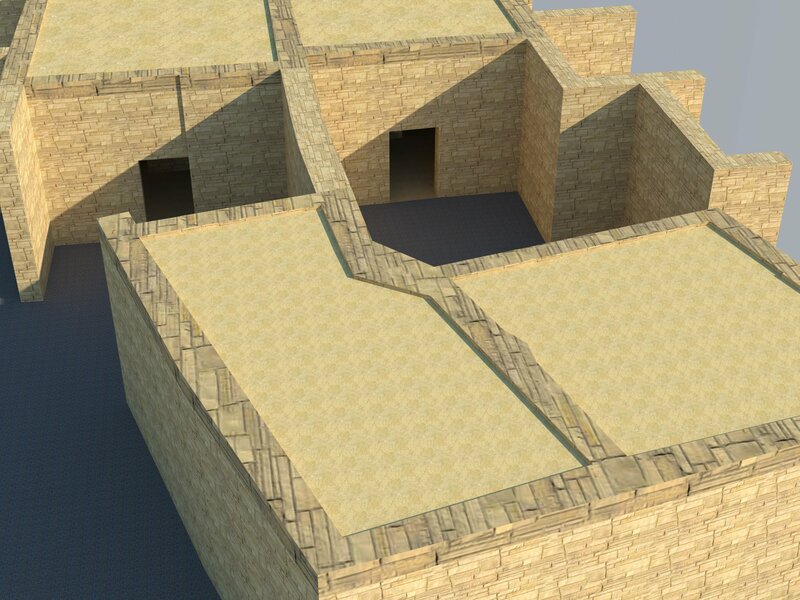 In large models some walls look more realistic with rounded edges, but not everything does. Door frames for example look equally good without, and given that it effectively adds many more lines to the model, there is really no need to round them off. For walls, I found that adding a slight slope at the bottom really makes it less blocky and much nicer to the eye. On a more practical note, creating components is still the greatest tip I can give with Sketchup. I found that making each floor and roof a separate entity made it much easier to edit, as you could hide upper floor when having to edit the lower one, and vice versa. As mentioned before, as soon as the animation finishes rendering I shall post a new update. I realise that recently I have been posting less and less, but I assure you it is only for practical reasons. I am currently involved in the writing of an archaeological based radio show, which is taking up a lot of my spare time, as well as working on a number of sites. Also these models do take their time to be made, so I’d rather wait a bit and publish something good rather than many very random posts. Finally a few of the projects I have been working on have the disadvantage that I can’t actually publish any of the results, which means there are a few things that I am doing that I can’t write about specifically. Therefore I apologise if sometimes it takes a bit longer to post something new. 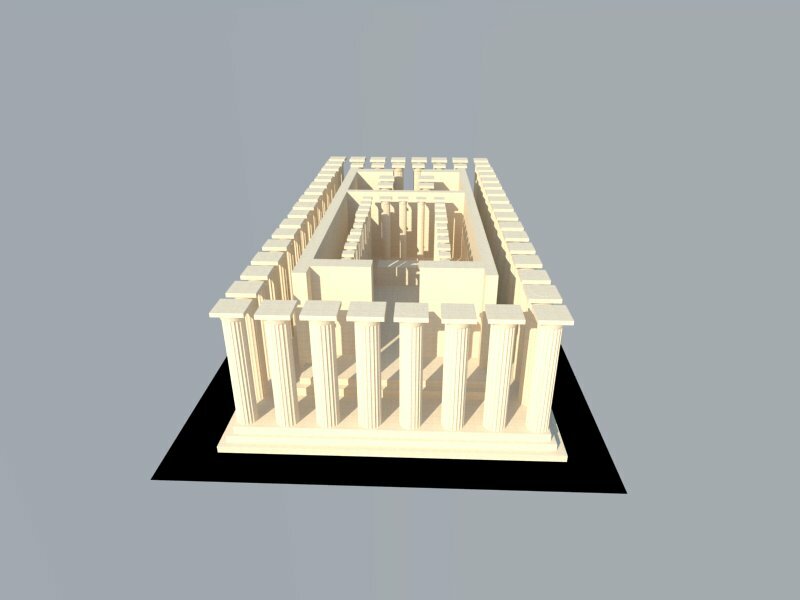 Having talked for the last few days about Sketchup and its uses in Archaeology, I thought I’d complete this line of enquiry by showing you another model I made during my second year and briefly presented before, a house from the Classical Greece site of Olynthus. 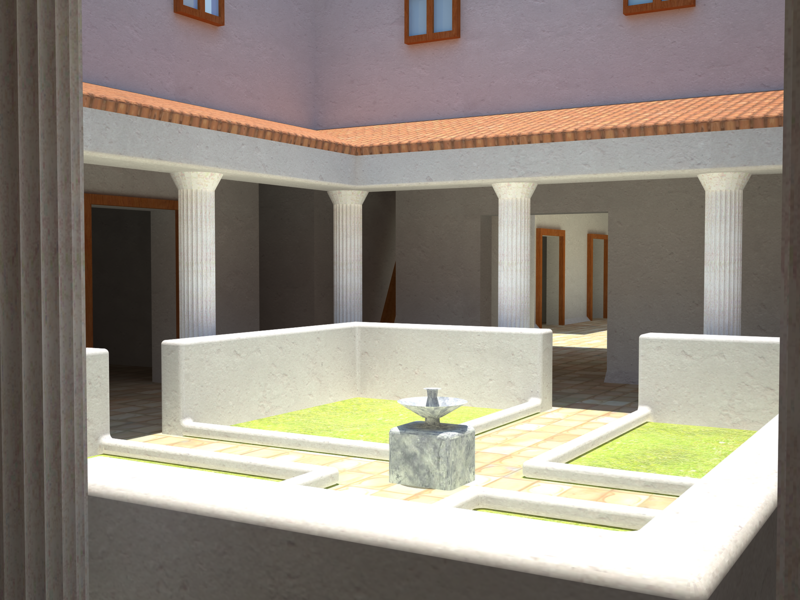 Much like the houses of Zagora I covered before, the house at Olynthus is a great example of domestic space in the classical world, with an inside courtyard and different rooms of which for the larger part we know the function. The reason or Olynthus in particular is that in this case the houses have all the elements of houses in the Classical period, and the base plan is repeated throughout the entire town. The main reason I chose this model was that it was a challenge. 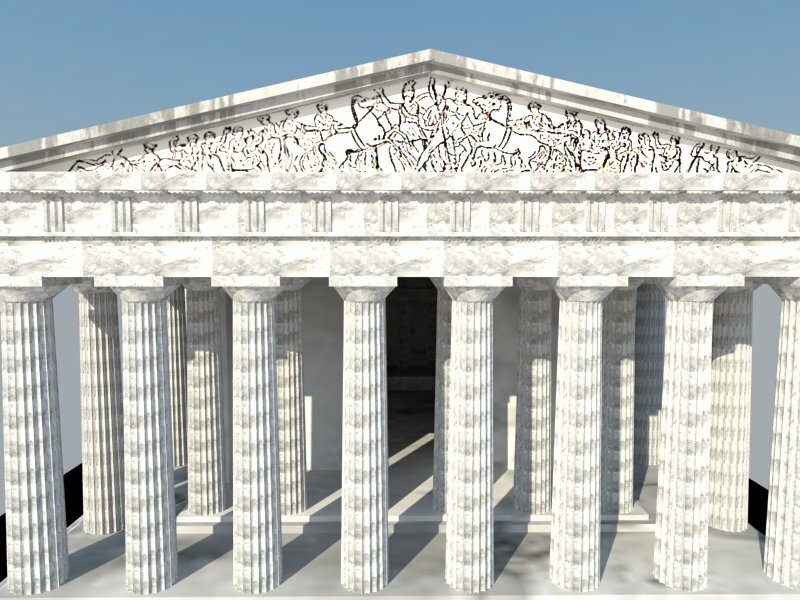 Previously I had only reconstructed the Parthenon, so I was not entirely used to closed spaces. In addition, I had the actual site reports handy, which meant I could reconstruct the house reliably, with little left to imagination. Finally, it gave me a chance to investigate issues of lighting within closed spaces, and settle a debate that I’d read about, regarding a possible need of a flue to provide lighting to some of the rooms. Apart from the use of components, that I’ve discussed already, I found two interesting things with this model: the use of visualisation to understand the use of space, and the aforementioned lighting tool. One of the main issues I was having with the house was the presence of a ladder, which would have allowed transit to the upper stories. The location I originally intended for it didn’t actually fit, something that I only realised when looking at an initial draft of the model. It was too steep, and if it extended any further to reduce this it would have blocked one of the doors. Therefore I decided that the location had to be wrong, and tried many different positions that could be possible. The one I finally settled with was the only one that “looked” right, and after reading the report again it turned out there was a base for the ladder in some of the houses in that exact spot. This is probably insignificant on the long term, but it made me think that the only way I realised the position was wrong was with the added dimension, as the 2D plan didn’t give me sufficient information to realise. The issue with lighting was part of a debate I was reading, about an area of the house interpreted as a flue. Some suggested this area was open at the top, in order to allow lighting, while others thought that the lighting in the room was sufficient to carry out basic activities. I therefore created an entire street by repeating the house, and placed windows as suggested by the report. 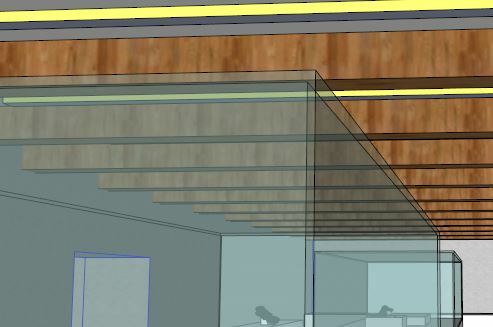 I then rendered the images with and without a hole in the ceiling. The results are not of the most conclusive, although there is a difference between the two rooms. This does however suggest that a hole in the roof would have not been sufficient, so it is possible the flue was used to conduct smoke from a fire within the room. Again, in this particular instance the results are not ideal, but in other models the idea may have more success, especially in enclosed spaces. Sorry it took me so long to write a new post, I’ve been swamped with work the last few days. I am however back and will be resuming my daily posting. Today I want to show you a few models I created earlier on this year for one of my essays, regarding the town of Zagora, in Greece. 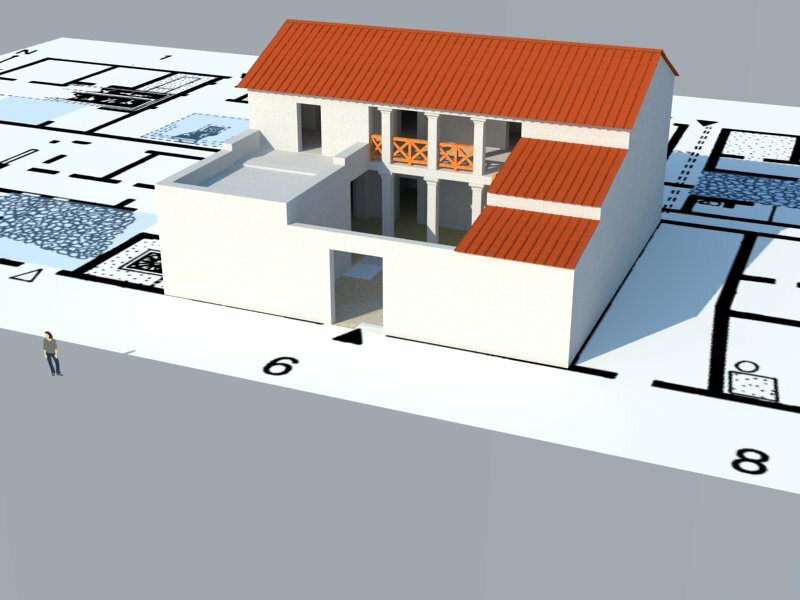 The essay itself was about the evolution of housing in Greece during the Archaic Period, and the town of Zagora was particularly important due to the distribution of space and especially open areas within the houses, which become a prominent feature of Classical Greece houses. The town was made of original smaller houses that were later expanded, creating agglomerated areas, with many houses sharing common walls with other houses. The exact details of the process, and the conclusions we could deduce from this have currently been placed in a location within my mind that I cannot reach, and the original essay is similarly lost within my laptop, but the main idea that got me to create a model of the entire town was that of space visualization. 3D modelling of structures is entirely about bringing spaces to life, in order to learn from them in a much more efficient way than in 2D. A plan of a town is great to find patterns of activity, but to get an actual idea of how the space was arranged, a model is much more efficient. So in order to really show what on paper was simply a theory I decided to recreate the town from the plan, and also to concentrate on a few of the houses for better examples. These houses were made first without the later additions, and then with them, to show how the creation of open courtyards would have made it easier to carry out activities, as well as giving a more private feel to the environment. 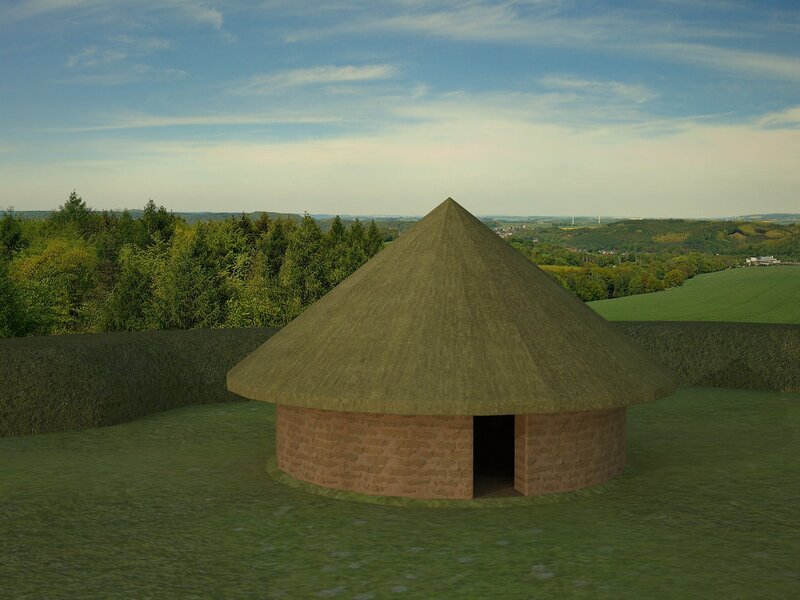 The models themselves were easy to make using Google Sketchup, and given that this was more interpretive than for presentation, I was able to create it in around 4 hours, showing that good results are obtainable with little effort. 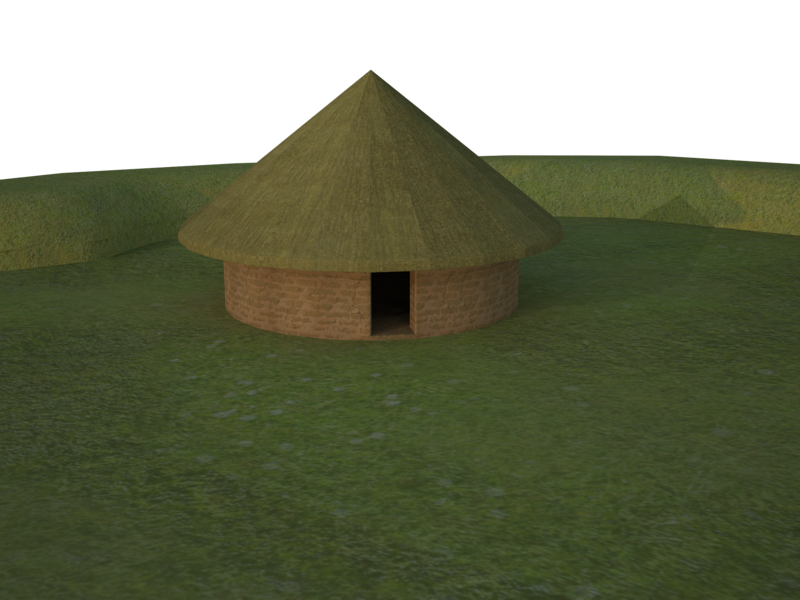 Had I had more time I could have used the Rounded Corners tools, and added more detail within the structures, as well as making the outsides more realistic with better textures. In addition to the large scale reconstruction, which was a first, I also learnt a lot in these models about component placing within Sketchup. If a certain feature of a model is something you believe you may use in the future, it is worth saving it as a component. This can then be uploaded in another model to save time, and very complex objects can be avoided. In this case I used a roof I had already created to cut on the creation time, as well as small figurines I found online to show the scale of the buildings in the essay. 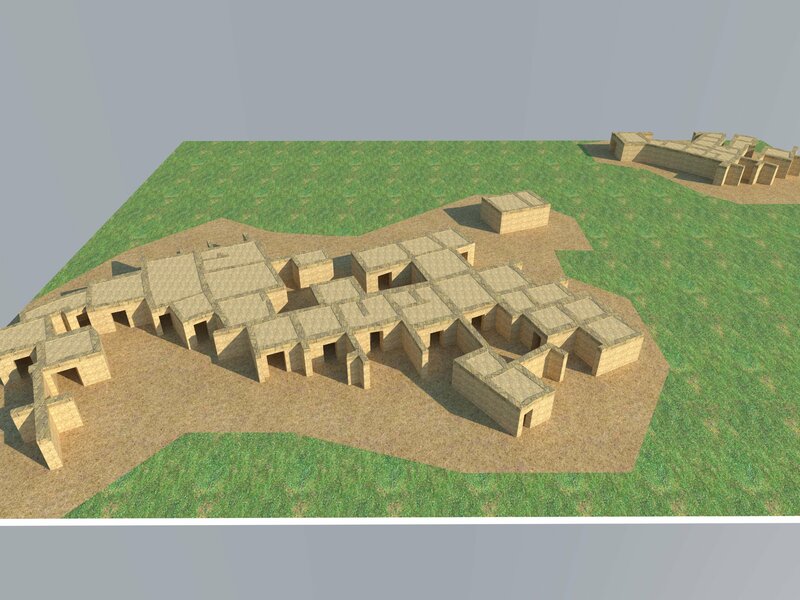 Overall these models also show how Sketchup can be a real help to display visual elements to enhance the understanding of certain concepts. 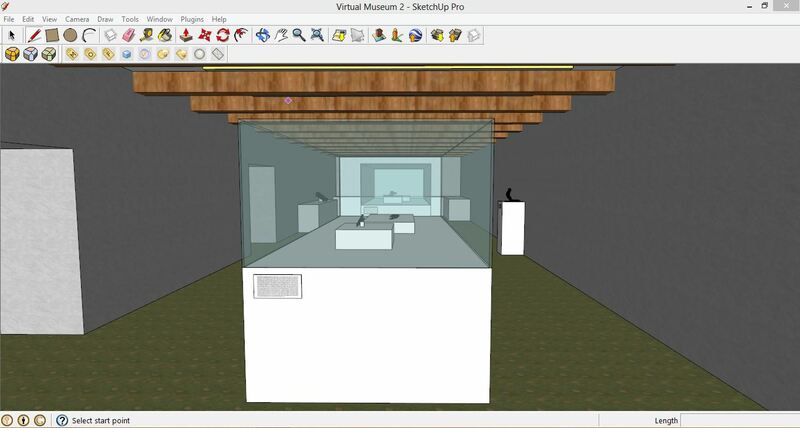 If you read my blog yesterday I posted an article about creating a virtual museum using 123D Catch and Google Sketchup Pro. Apart from the large scale project, this has also given me a chance to play around more with these programs, and especially with Sketchup. As a result I’ve learnt a few more skills I’d like to share with you. 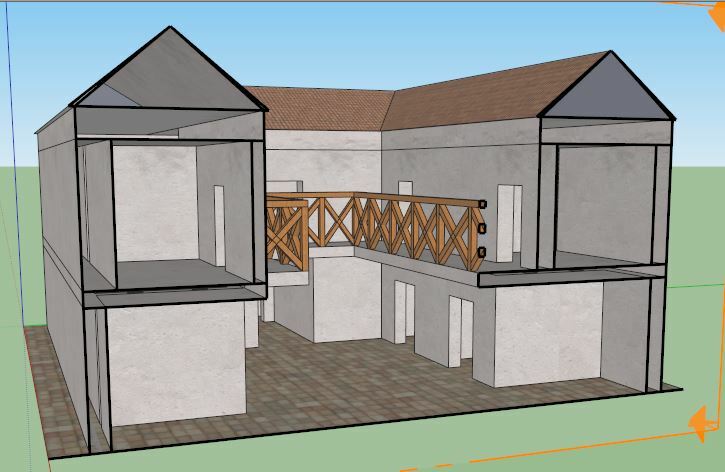 Sketchup is a brilliant program, and in my opinion the easiest and most efficient 3D modelling software for archaeology. For other uses it could be a but simplistic, especially when realism is an issue, but for creating models of sites or structures for display it is sufficiently capable. 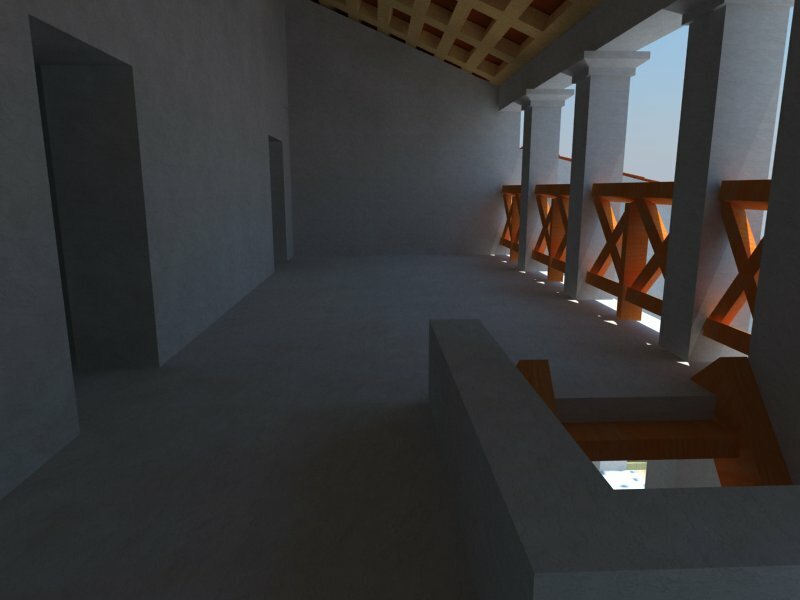 I currently have Sketchup Pro, as well as V-Ray for rendering images, but there is a free version of Sketchup that has most of the functions of the Pro version and that is sufficient for most models. The tips in this article though are based on the Pro-Vray combination, although some of them should still be available in the free version. Materials: One of the things I was trying to achieve in the museum was creating little tags for objects, in which I could display information. Because I didn’t really need to write the actual text, to see if it would work I got an image of text from the internet and then loaded in the paint tool. I’d done this before, but I was having trouble making the text fit perfectly. After trying different approaches I noted there was a “position” material tool when I right clicked the surface. 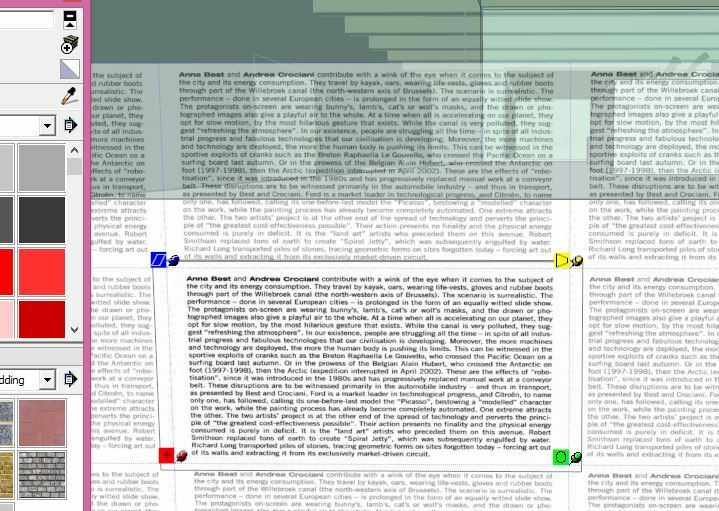 This opened up a nice interface which allowed me to successfully position the image. Saved me a lot of time, and it has good potential for other things too. One of the ideas I was thinking was to create a large circular wall around a site onto which I could paint a landscape, so when it was rendered it gave the impression of being place in the real world. The positioning tool would allow me to manipulate this texture in order to make it continuous, without having to play around with the scale. 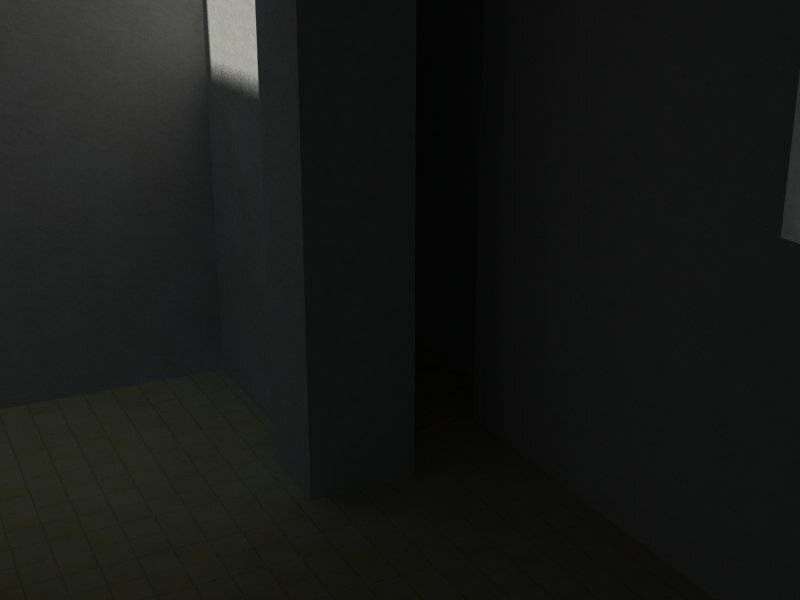 Lighting: I finally used the lighting tool with V-Ray, which was harder to understand than I thought, This was the first time I created an entirely internal space, and lighting was an issue. 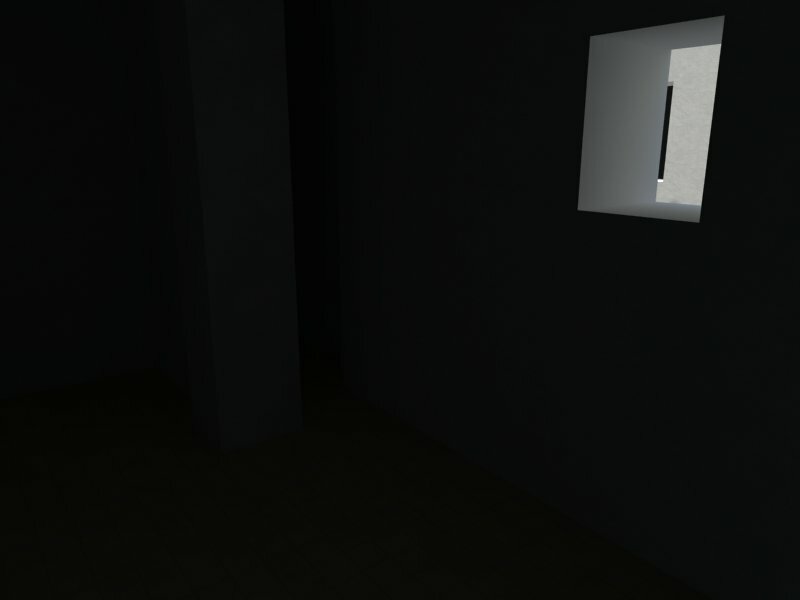 By creating a long thin rectangle, and placing the light on one side I created a convincing neon light. The trick here was increasing the intensity to 150, rather than the measly 30 it is at, which makes it seem like it is not working. I am also honestly impressed with this tool, it does add a lot to the realism, and I’m even thinking of adding a few lights under objects to give them a lit up effect. Walk tool: I usually pan and zoom and use the orbit tool when I’m editing and when I’m showing people my work, but the walk tool is a much nicer way to present a model. It allows the user to feel like they are present on the site rather than an external viewer, and it’s much less shaky than I thought, You can even make it so that it will automatically stop when you encounter a surface which is great, considering on occasion this is an issue with the orbit, pan and zoom tools. 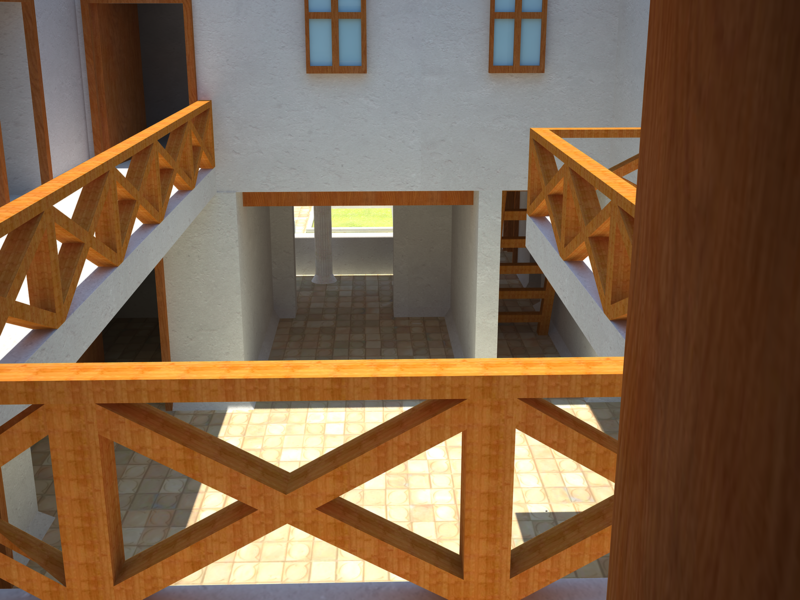 Obj importing: Didn’t realise that Sketchup could import object files, which is great. 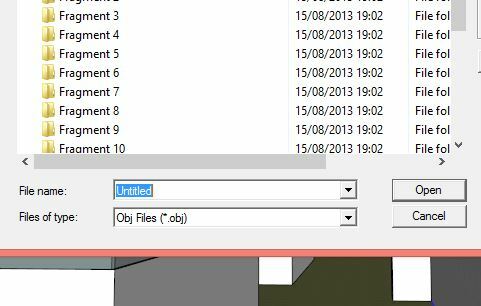 Many 3d programs have difficulty with the material files associated with the 123D Catch obj files, yet Sketchup seems to have none. It is hard to alter the files themselves, yet it’s a good way to put them in context. 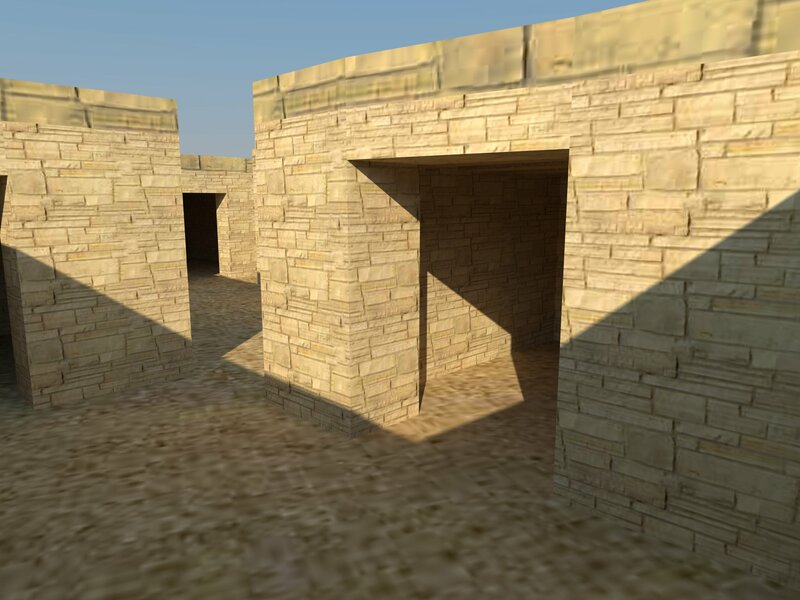 A feature could be placed within the reconstructed model of the site, and if all of the features were recorded they could be glued together to make the entire site. Some of these tips are probably obvious, however being self taught in the program means that I have gaps in some areas. 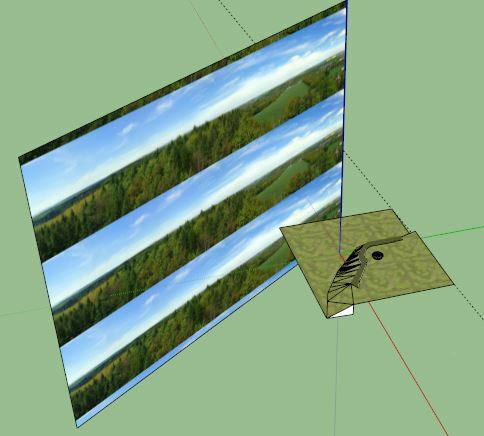 However the good thing of Sketchup is it requires little knowledge, just a keen interest. I wrote the post below yesterday night, but since it was written I’ve managed to create at least a part of what is described in the text, which is shown in the video above. Hence keep in mind that the rest of the post may be slightly different from what is in the video. 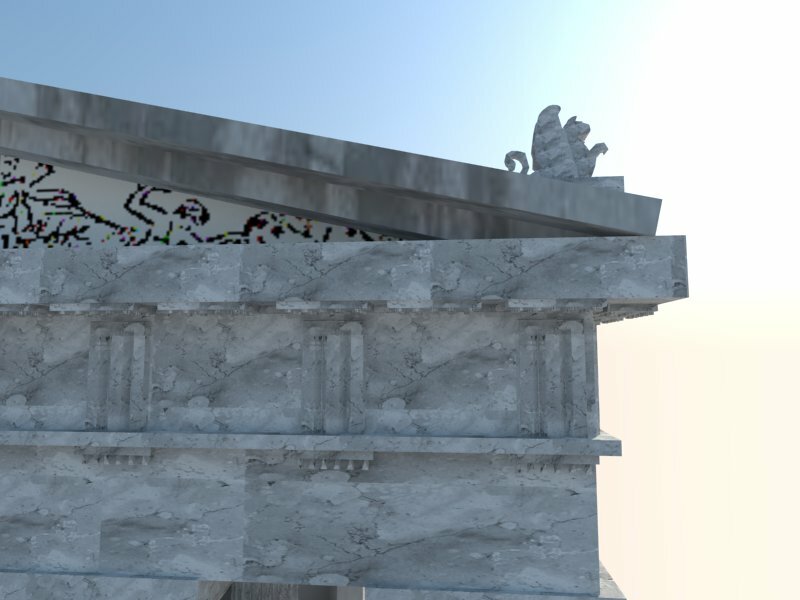 This is an example of what the website http://3dstellwerk.com offers, an opportunity for artists the create a virtual space in which to display their work. It allows users to go “walk” through the gallery and view the 2d artwork as if it were an actual exhibition. Although the navigation may require a little improvement, it is a brilliant idea to make art more accessible to people. 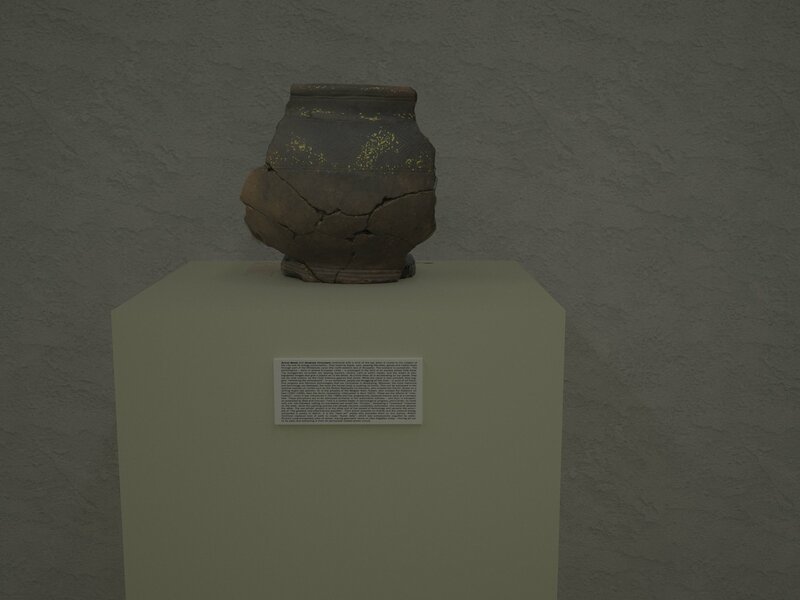 This idea however could easily be adapted for archaeology, using Photogrammetry, Making models of a selection of artefacts using 123D Catch, we can then place them within a virtual space created with our 3D software of choice, in order to then animate it using gaming software such as Unity 3D which would allow user interaction. A large scale project could even allow the objects to be clicked in order to display additional information, or create audio to go with each artefact. Video clips could also be incorporated within the virtual space. On an even larger scale this could mean we can create online museums available to all and with specific goals in mind. As we are talking of digital copies of objects, it would be possible to group in a single virtual space a number of significant objects without having to physically remove them from their original location. 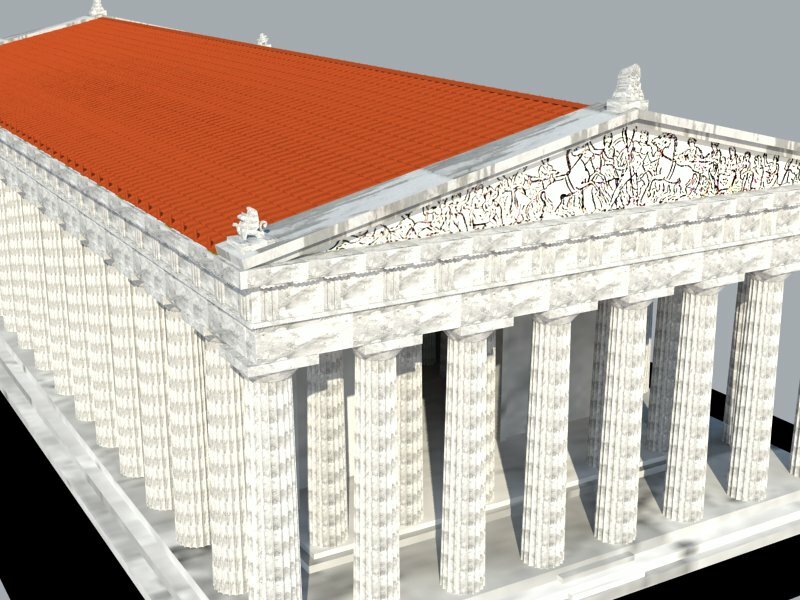 The only problem that we may encounter with this idea is file size, as each photogrammetric model is relatively small and manageable, yet if we want a decent sized virtual museum we are going to need a large portion of data. Still, even if the technology at present is not quite capable of dealing with the bulk, the rate at which it is improving will allow such ideas to be doable in the near future. 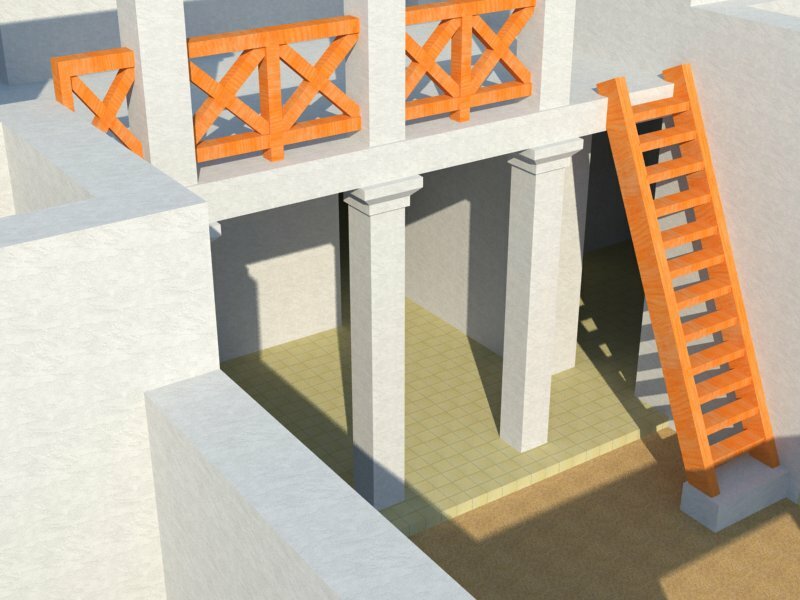 Before starting this post I’d like to point out that what I am writing here is entirely theoretical, as I haven’t yet had the opportunity to work with a 3D printer and am basing the following discussion entirely on knowledge of 3D modelling and a long series of recent news articles unrelated to archaeology. 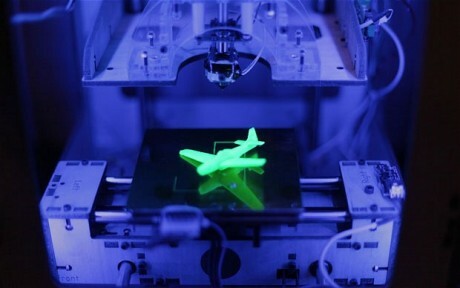 3D Printing is certainly the next big thing. A few years ago this kind of technology was unheard of, yet now we already can 3D print pretty much everything, including food, rocket engines (NASA recently announced it), guns, people-sized statues and entire working machines. I think the point of non-return was reached when someone built a 3D printer made entirely in Lego (except a laser part, but still) that could make a 3D model of another Lego piece and then print it out, essentially a Lego cloning machine made of Lego. Given that the prices are dropping dramatically, and will do so even more when the original patent is dropped next year, it’s worth enquiring on what this could bring to archaeology. There are different aspects of 3D in archaeology, and even surveying can be adapted to a 3D printer. Surveying with an EDM provides data in a .xyz file, which is basically a series of points that can be placed in a 3d environment, and then used to create surfaces. 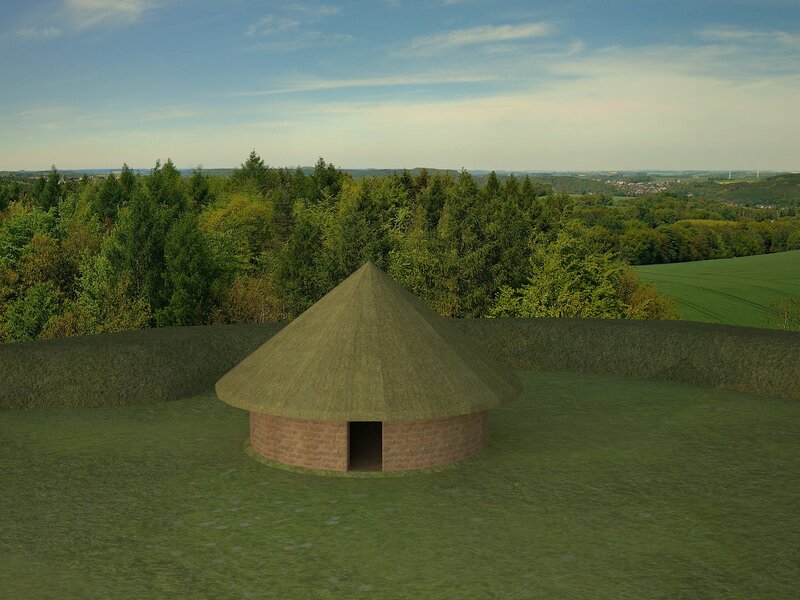 However the only possible use that I can see for a model of a site would be to then reconstruct it using Sketchup (or similar program) and then use print out a small version of how the site would have looked like when it was in its prime for a museum display. 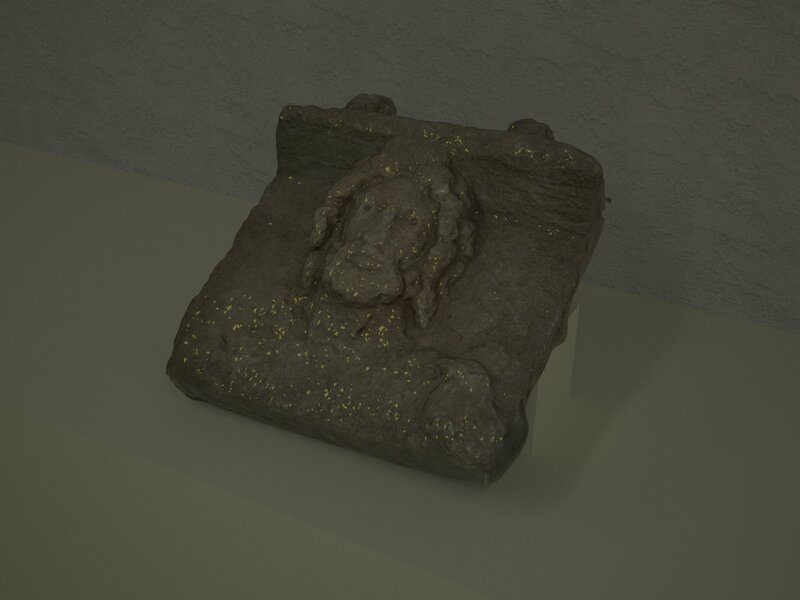 Photogrammetry instead can have a great number of uses, and 123D Catch has even added an option to print out the model. The advantage of Photogrammetry is that while 3D reconstructing (through surveying or by measuring distances) is only really effective with large-scale models, Photogrammetry is ideal for any size object. 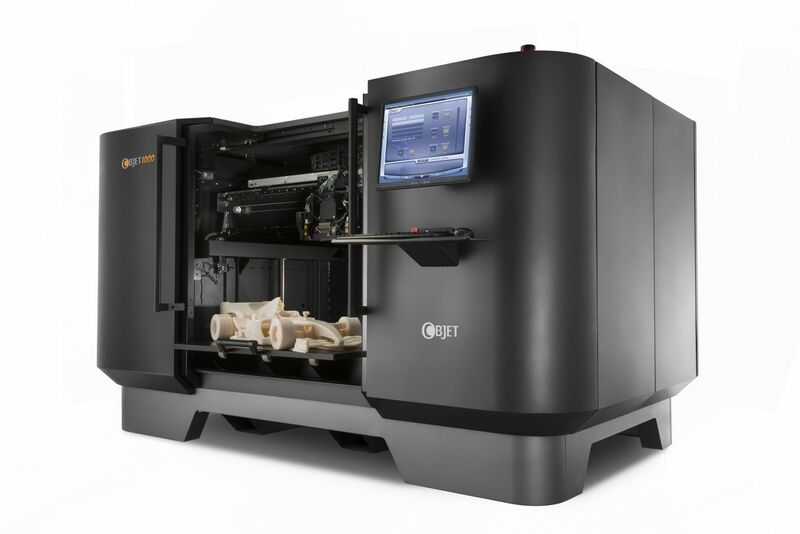 Larger objects such as statues can also be printed out with larger printers. 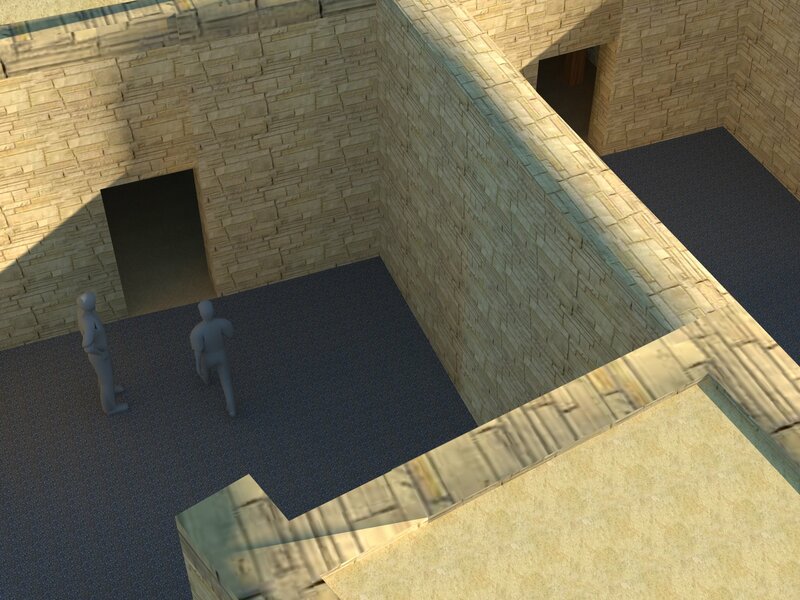 One of the ideas I’ve been working with is reconstructing archaeological monuments using tourists’ photographs. There are many objects that we have records of in photographs, but that have been destroyed since. It hence would be possible to print out a copy of these objects for people to see. Large buildings can also be recorded and printed out either for record keeping or for display. Overall the applications of this new technology seem to be many, and I’m sure there are many more that I haven’t even considered yet. All we can do is wait for the revolution.